This Outsunny walk-in greenhouse is perfect for year-round gardening. A large double zippered door makes it very easy getting in and out. Our greenhouse is great for seeding, or just to protect your young plants from the cold weather. 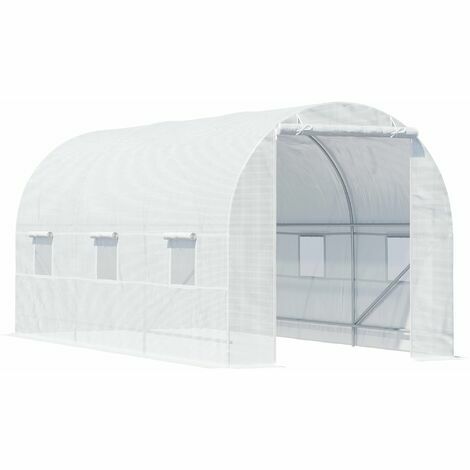 This greenhouse design brings the protective surroundings that you need, without spending large amounts of money needed for a purpose built greenhouse.